March 21, 2019 | BUFFALO, N.Y. – The Associated Press reports that, just one week after attacks on two mosques in New Zealand killed 50 worshipers, the country has banned sales of what it calls “military-style” semi-automatic weapons and what it deems “high-capacity” magazines. Ardern said a sales ban was effective immediately to prevent stockpiling and would be followed by a complete ban on the weapons after new laws are rushed through. The ban includes any “military-style” semi-automatic guns or shotguns that are capable of being used with a detachable magazine that holds more than five rounds. It also extends to accessories, such as bump stocks, used to convert guns into what the government called “military-style” weapons. In the wake of an event like the New Zealand mosque attacks, there are generally two approaches available for government to take in response – acknowledge that the event is an outgrowth of the societal decay caused by progressivism and take steps to eradicate that ideology, or force the mass liberty reduction of law-abiding gun owners to create the illusion of state-manufactured safety for the general population in total. The former is a difficult undertaking that creates real and highly positive results over the long-term, and the latter is a short-term emotional opiate creating the illusion that progress has been made when, in reality, no truly effective steps have been taken to address the core of the mass killer issue. Concerted outreach to New Zealand gun rights groups to encourage their members to begin the immigration process to Western New York. Private civilian gun ownership is a proven and effective check against government tyranny. It is a clear fact that, within the 20th and 21st centuries alone, governments across the globe have perpetuated instances of genocide and mass murder against their own citizens (democide) resulting in hundreds of millions of human deaths. Furthermore, acts of democide are playing out in real time before our very eyes in Venezuela, where New Zealand-style restrictions banning certain classes of guns are what have backed Venezuelan citizens into the defenseless corner they now find themselves while starring down the barrel of government tyranny. Finally, the aforementioned democide, perpetuated by governments that began as democracies like that of Venezuela, clearly illustrates that elections, institutions, and procedures alone are insufficient to safeguard a society from the state-sponsored mass murder of its own citizens. It is a clear fact that the individual loss of life experienced as a result of overall rare mass killer events is significantly dwarfed by the collective loss of life directly resulting from democide, as referenced above. Given the prior two points made above, and because government has demonstrated a clear propensity to trend tyrannical over time and kill its citizens en masse, the societal benefits of private firearms ownership far outweigh the individual costs. The progressive government of New Zealand has chosen to ignore the clear facts outlined above and deny the natural gun rights due to its citizens, thus leaving them defenseless against government tyranny that poses a clear and present danger to the life and liberty of all citizens of New Zealand. 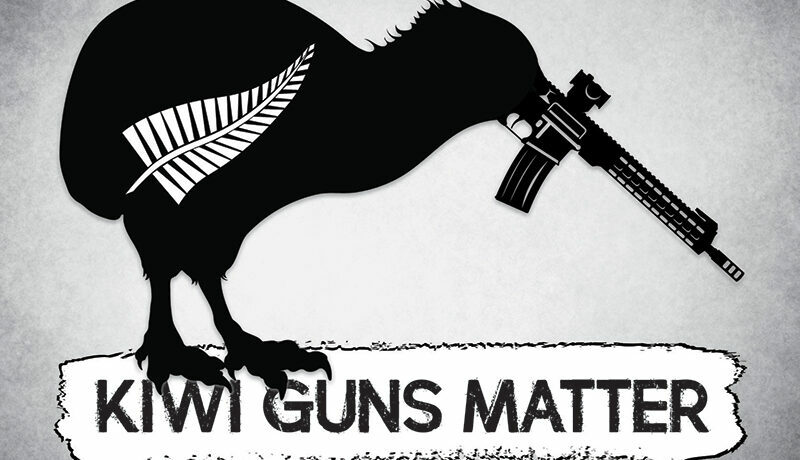 Given all of the above, persecuted New Zealand gun owners are entitled to claim natural gun rights asylum at any U.S. port of entry, and 2AWNY hopes kiwi gun owners will select those ports of entry closest to Western New York. Development of an immigration attorney referral network to assist persecuted kiwi gun owners in beginning and completing the process of immigrating to Western New York. Creation of a Federal Firearms License (FFL) dealer consortium to assist kiwi gun owners in transferring their firearms to their new home in Western New York in a manner compliant with International Traffic in Arms Regulations (ITAR) and other applicable requirements. Failing this, said dealer consortium should assist persecuted kiwi gun owners in procuring new legal firearms sourced from Western New York dealers upon arrival in the U.S. This is an initiative that should draw all New Yorkers together in these hyperpartisan times. Progressive democrats, in favor of open borders and extending ‘rights’ they have invented, like education access and driver licenses to undocumented immigrants, should have no qualms about likewise allowing persecuted kiwi gun owners to waltz across the U.S. border into WNY with their rifles in hand so they can enjoy a right (the Second Amendment) that actually appears in the black ink of U.S. Constitution (unlike education access, the ability to drive a vehicle, abortion, and more). Conversely, New York republicans should feel comfortable standing down on their demand that President Trump’s massive debt-ballooning wall be built given that persecuted kiwi gun owners will be entering the country in droves, and will be primed to vote for conservative candidates and causes because progressive democrats insist upon voting rights for the undocumented. Everybody wins. The influx of persecuted kiwi gun owners into WNY will act as a means of balancing out the massive outmigration trend damaging New York State year after year. The hundreds of thousands of New Yorkers fleeing the state are doing so in response to Imperial Criminal Andrew Cuomo’s years of progressive missteps that have made the state completely unattractive to families and businesses. In this manner, 2AWNY’s New Zealand AR-15 Owner Resettlement Initiative will assist in correcting a major population drain problem for which Imperial Criminal Cuomo bears sole responsibility. Perhaps the uptick in tax receipts from kiwis immigrating to WNY will close the significant state budget gap created by the irresponsible spending habits of far-left progressives in Albany (not the scaling back of SALT deductions). This initiative will result in more gun owners and more AR-15s in WNY, both of which are a good thing because the more of each we have in the state, the weaker the SAFE Act and the overall New York gun control regime become. The immigration of kiwi gun owners will also bolster the already growing culture of non-compliance and non-enforcement of unconstitutional gun control edicts in Western New York, and will cancel out the influence of left-leaning urban and suburban progressives who support and vote to expand the state’s imperial gun control edicts. Military-style semi-automatics have been defined under New Zealand law as rifles with magazines exceeding a seven-round capacity, or with pistol grips, folding or telescopic stocks, bayonet attachments, or flash suppressors at the end of the barrel. Many different types of firearms, from pistols to rifles and shotguns, operate in a semi-automatic fashion. Semi-automatic refers to a type of widespread mechanical operation, upon which virtually all modern defensive firearms are built, that provides for the chambering of a fresh round in a firearm from an ammunition magazine by leveraging the kinetic force generated by the prior round fired. Semi-automatic function allows one round to be fired upon each trigger press.